This shade is handmade to order. 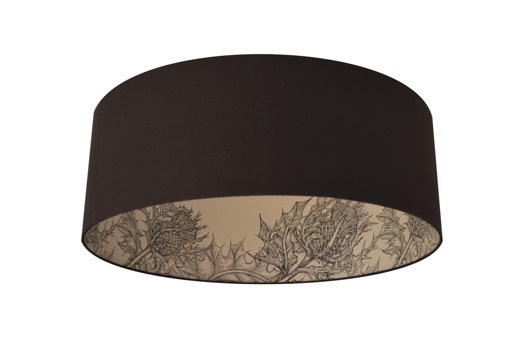 A black cotton lampshade lined with a Timorous Beasties thistle wallpaper using a rigid flame retardant PVC. A stunning intricate thistle plant in a hand drawn effect.